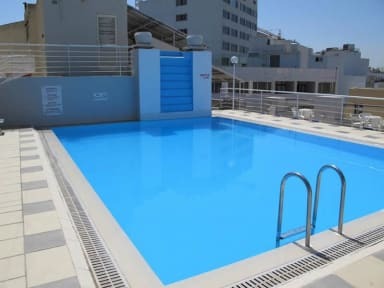 Located 100 meters from the seafront in Sliema, Park Hotel offers to it's guests comfortable rooms, a restaurant, an indoor and outdoor swimming pool, a Jacuzzi, a fitness room and one meeting room. Roof Top Swimming Pool Terrace offers a relaxing area with amazing views of The Grand Harbor. The Camilla restaurant offers a daily buffet dinner and à la cart menu with a range of Mediterranean and international dishes. Complimentary Wi-Fi is also available in lobby and bar area. 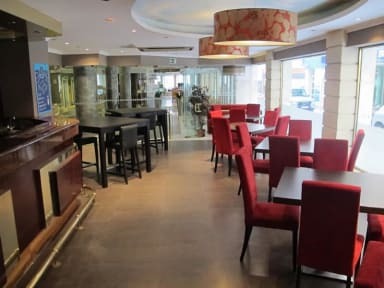 The Park Hotel situated in the heart of Sliema just walking distance from the shopping area and only 6.7 km from the UNESCO world heritage city Valletta. The hotel is the perfect option for experiencing Malta most popular historical sites. The hotel is 2 km from St. Julian's Bay and 11 km from Malta International Airport. Park Hotel Sliema offers various rooms. All feature Air Conditioning, Desk, Heating, Bath, Hairdryer, Free toiletries, Toilet, Bathroom, TV, Telephone, Refrigerator, Safe & Wake Up Service/Alarm Clock. Cancellation Policy: 4 days prior to arrival.